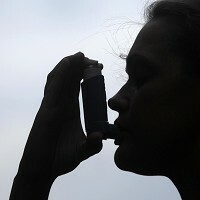 The National Asthma Council Australia has urged people with asthma to take their condition seriously this winter, after its survey showed that one in five adults with the condition expects to have an attack every week during the season. According to the survey, over half (52%) of asthma sufferers have already had an attack since June 1, highlighting the importance of taking out a good medical travel insurance. Warning patients of a particularly nasty winter, the council urged people to take extra care as the colder air and flu during the season can trigger or exacerbate asthma symptoms. The council also expressed its concerns over the complacent attitude of many patients towards asthma. Associate Professor Jo Douglass, head of the Allergy and Asthma Service at Melbourne's Alfred Hospital, said people with the condition should go to their GP for a lung check and get a flu vaccine. Prof Douglass told AAP: "Last winter was a really bad season for flu and a lot of people were unwell and already the warning signs are that plenty of people ... are already suffering from respiratory infection this year."